Can you keep a secret? Sure you can, but you still need somewhere to write that secret down. Well, somewhere other than the internet. What you need is a secret journal. 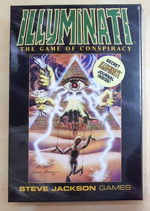 How secret? Secret enough to be in Illuminati. 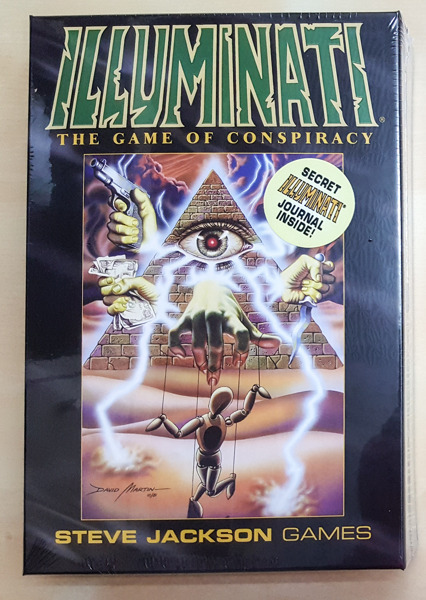 Starting soon, while supplies last and only at your Friendly Local Game Store, when you buy a copy of Illuminati marked with a special "Secret Illuminati Journal Inside!" sticker, you will get one of two random journals! 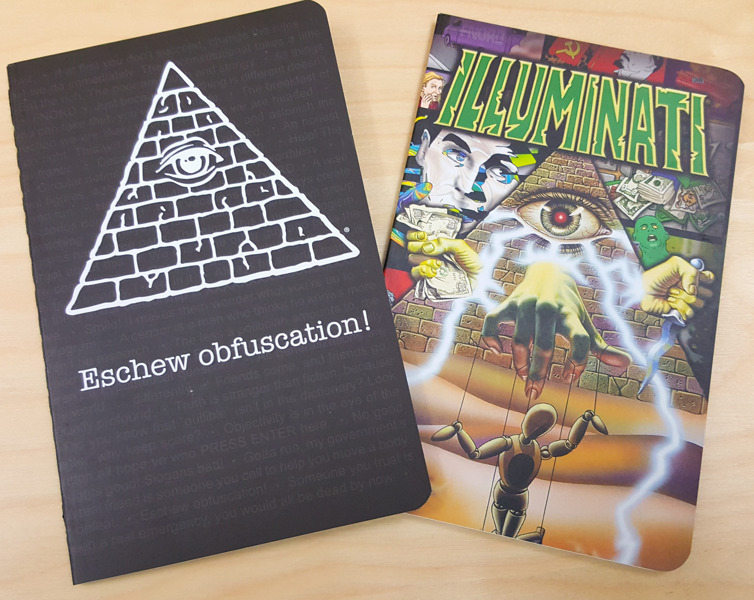 Show your devotion to the society with an Illuminati Journal, or eschew obfuscation with the Eye in the Pyramid Journal. Look for the sticker at your FLGS, buy the game, and get the journal. And remember, this is for your eyes only.